Time to read this post: 5 – 6 minutes. In my previous post, I talked about 10 reasons why you should consider registering your own domain name. In fact, I was not sure myself if I should own my domain name. But as I wanted to create valuable contents for my readers/visitors of my blog, I decided to own my domain domain name and give it the touch of professionalism and credibility. Finally, with low cost to register a new domain and ease to setup new website these days, I didn’t have any more excuses not to own one. But where to start to register your own domain? Glad that you asked. I was also baffling onto this question myself before going out to buy my own domain. Below there are some IMPORTANT points which you should think prior to buy your own domain name. Let's hold on for 2 minutes before go and buy a domain name. Let me tell you some of the important ststrategies to buy domain name. This is important! 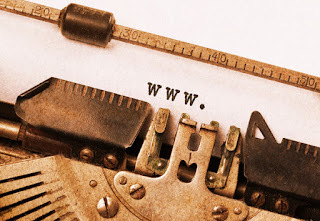 You have to have ideas what you would like to do with your domain before registering it. This step can save you from the headache from figuring out that after buying a new domain, you would have thought about buying something else. Now, it can be your personal/family blog or a professional portfolio or business that you are running, that you would like to make an online presence. Whatever the reason is to register a new domain name, think ahead. Because, once you determine your purpose, you can register a new domain name with those words to make it more visitor friendly. This bring you on the next point on how to choose your domain name. Keep the purpose of your domain in mind and reflect it into domain name. Try to make it short as well as simple to pronounce. People will most likely remember shorter and easier names. Also with short domain name it is easy to type. Unless your domain is bookmarked, having a short and simple domain name will bring extra visitors to your site who remember the name. Keep few alternative for the domain name ready in case the first choice is taken already. Do not, I say, DO NOT register domain names which would include trademark names. Avoid using words/names which can be easily misspelled. Avoid alternate spellings in your domain name, such as h0t.com instead of hot.com. You will be in a great risk that people mostly type the latter and therefore visit the other site. When I decided to buy my domain name, I headed over to a very popular domain registrar, Namecheap, to check the domain name availability. Which DOT to go for? Next you need to check which Top Level Domain (TLD) available for your domain. Undoubtedly most commonly used is .com domain extension. If your domain name is not available to a .com, try to put your hands on .co or .net domain extensions. Then there are unusual TLDs, such as .me, .tv, .info. In many cases, more unusual the TLDs are, more available of your domain names are. However use unusual TLD, if you have specific audience to serve. Also with unusual TLD, you have the risk that your domain name may be seen as spam address. To check which TLD is available, I recommend you to make a search on Namecheap search bar. It will automatically enlist all the TLDs and mentions which still available to buy. ... if you have gone through above points and finally found your dream domain name available to register/buy. You usually register your domain name with a well reputed domain name registrar company. When you buy a domain name via a domain registrar, you pay certain amount to domain registrar and $0.18 to ICANN. Minimum registration period is 1 year. Maximum time period of registration is up to 10 years. You pay per year basis. That means, you need to renew annually. Usually domain registrar sends reminder before expiry of your domain. QUICK TIP: If you know that you will stay with this domain for a while, my recommendation is to register a domain for more than 2 years up-to 5 years and you will pay less money per year basis, compare to normal 1 year rate. You will need either credit card or PayPal account to pay for the domain name to registrar. If you pay by any of these means, your domain name will be delivered to you almost immediately up-on application. Currently there are numerous domain registrars. An OFFICIAL LIST of all domain registrars can be found here on ICANN site. Simple yet effective ordering page and process - Very easy to place order and deal with checkout process. Domain extension - Wide variety of domain extensions from most commonly used to unusual domain extensions are available. Reliable DNS - Namcheap’s DNS is reliable while the largest provider GoDaddy has their DNS hacked. Email Forwarding - Namecheap provides FREE Email forwarding. Free 1 year WHOIS Guard - Namecheap provides 1 year FREE WHOIS guard (this is a service which masks your particulars from public). After 1st year, you need to pay if you want to go with WHOIS Guard. Many other domain registrars charge from beginning. Custom DNS – Namecheap gives FREE custom name servers. Support/Service - An excellent online 24x7 customer service backed by a strong technical service team. I had issues with my domain when I wanted to change host from Tumblr to Blogger and their team resolved it within few hours. Once you go into their site to buy desired domain name, you create an account and proceed to checkout with Credit card or a PayPal account. Either way of payment will deliver you the domain name almost immediately after purchase. I would be interested to know if you ever encounter any problem to register your domain. If you would like to share, drop a comment to share, so that I will try to address the solution to help many others, specially beginners.